How cute are those cupcakes! Love that nail polish! 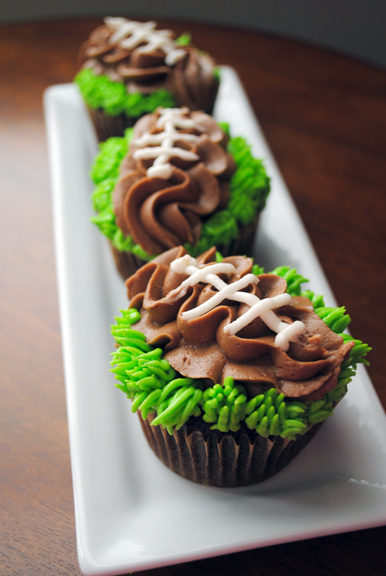 Those football cupcakes are adorable! The football cupcakes are so cute! Those cupcakes turned out perfectly! Love the nails! And LOVE the cupcakes... too cute! I love those cupcakes! I'll have to keep those in mind. Totally picking that nail polish up. It's perfect! those football cupcakes are awesome! I am going to try canning applesauce some day soon :) Happy Friday! Those football cupcakes are adorable!! I really need to make these sometime. I love that nail polish color too!! Perfect for Fall. Have a wonderful weekend! Those cupcakes are so fun and they look amazing!! Those football cupcakes are ADORABLE!! !